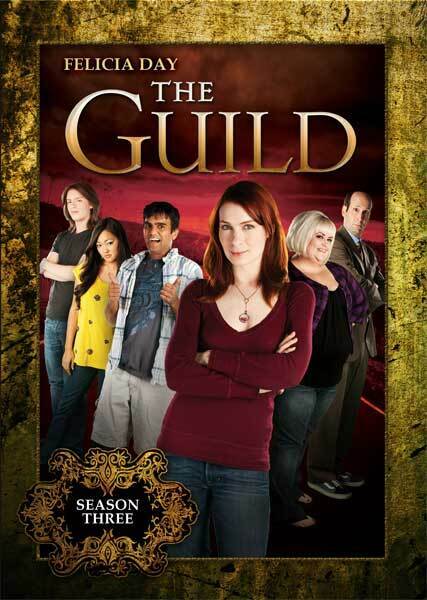 Show Notes: Today we do a skype chat with some Guild fans who were lucky enough to get an advance copy of The Guild Season Three DVD. On our skype chat we discuss the Extras that come with the DVD. Please note that we will be talking about the extras in detail so there will be SPOILERS. Our Guests for this Skype Call are: Eva, Higlet, Brian K, Chris F, Jeff V, Edgar G, Jenni and Kenny Thank you all for taking the time and chatting with us. On Monday, February 15th, Season 3 arrives on DVD exclusively on Amazon.com with a retail price of $14.95. Bonus features on the DVD include “Do You Want to Date My Avatar” Music Video, The Making of “Do You Want to Date My Avatar,” the Halloween episode, Guild Applicant Rejects, How to Build Vork’s Sword, Audio Commentary with the Cast, Audio Commentary with the Creator, Director and Producer, Axis of Anarchy Interviews, Gag Reels, PDF of Script, Play All Feature and English Subtitles. The Amazon.com DVD release comes on two DVD-R discs by Amazon’s Create Space, and is NTSC format, region-free.